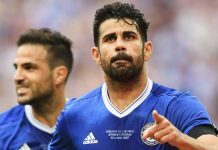 Home Features Chelsea transfer news updates – 1 day to go! Chelsea transfer news updates – 1 day to go! Good morning Blues and welcome to this Monday bank holiday transfer news update from CFCnet, where we take a look at the latest potential arrivals, departures and done deals at Stamford Bridge this summer. First of all, it appears that both the John Stones and Paul Pogba deals will not be happening this summer. Pogba is apparently snubbing a move to Chelsea, according to some media outlets from Italy and confirmation by his apparent ‘friends’. Having said that, it does still seem split, with some UK press sources still claiming the deal could happen. With only one day left in this window, it would be an incredible deal to pull off for Chelsea and however unlikely it is right now, anything can happen. The same goes with John Stones, even though he’s been aggressively ruled out of moving by his senior’s, this is football and it is a business. Very unlikely now but let’s see what happens over the next 24 hours. Jose Mourinho has seemingly become frustrated with Chelsea’s lack of signings, perhaps insinuating that his own board have slipped up this summer. He has also praised Manchester City for their current level of business being completed this summer and how they have immensely improved their squad. Meanwhile, Victor Moses will join West Ham on loan. This one surprised me, but for the player it had to happen. He’s not featured this season so far despite the players ahead of him all performing poorly. He must be wondering what on earth he needs to do to get a shot in this Chelsea side after been our brightest spark during pre-season. We currently lack something in the number ten role, a position where I could really see Moses doing well in. But once again, off he goes on loan, instead of gaining any money from him. It’s ludicrous. There are increasing calls from supporters to start Ruben Loftus-Cheek and I could not agree more. The boy has what we need in that role, he is strong, great on the ball and can attack and defend – it’s what our midfield is calling out for. So if Pogba doesn’t arrive, could he finally get his more than deserved chance? We will see. Axel Witsel though could spoil his party. Currently linked with a £25 million move to Tottenham, the Belgian International is also wanted by Chelsea and has certainly been on their shortlist this summer. Could we be about to see another Chelsea hijack of a Spurs target like we did with Willian recently? Well, there is some substance to this, various low level sources are reporting this could now happen. One to keep an eye on for sure. Finally for now, the next defender to be linked with Chelsea is a Senegal International with 2 caps to his name, Papy Djilobobji (do NOT ask me to pronounce that!). The 26-year old from Nantes is wanted by a number of Premier League clubs including Newcastle and Southampton. Standing tall at 6ft 4in, the strong and athletic defender has been praised by recent form in the French league and could be available for around £6 million, which is apparently the appeal behind Chelsea’s pursuit who clearly want to bring in another centre half before the window closes.